Before I dive into specifics, let me give you a scenario. Imagine a not-too-distant digital future of Haiti: A country where the Ministry of Health of Haiti has access to all health data to ease decision-making. Information is turned into knowledge. Data is collected and analyzed, aggregated in real-time, on mobile phones, at the touch of button. Imagine that department-level decisions (Haiti is divided administratively into 10 departments) are guided by programs based on live data, such as active diseases, pricing, and supply chain data. And, imagine if that data is instantly collected, curated, and secure. This is the image of health care in a modern, paperless health facility. The future is now; we are well on our way. The pilot we are running is the first step. It enables the use of the open source District Health Information System DHIS2 at local health facilities as a tracker to collect tuberculosis (TB) patient-level data, track patient progress, and feed the national health information system. The pilot started in January and closes at the end of the month, targeting nine facilities and four departments (48 percent of all TB facilities). This may not seem like too big lift, but it is certainly a step in the right direction. If we can prove the efficiency and impact of collecting data at every level of the health system, we can actually start making crucial decisions based on accurate data. For all participating facilities, 52 percent of all expected TB cases during this quarter have been entered into the system. This number is only rising and we are hoping to reach our goal of 75 percent by the end of the month. We have also seen outstanding leadership by System d’Information Sanitaire Nationale Unique (SISNU) through the National Program to Fight Against Tuberculosis (PNLT) and the Unit for Studies and Programming (UEP), two entities within the Ministry of Health. But, with any future thinking comes challenges to solve, such as being able to track a patient across multiple health facilities. Time for another scenario. Imagine this: A patient goes into a facility and is diagnosed with TB in January. The health worker, trained in the new tracking system, diagnoses the patient, prescribes medications, inputs the patient’s information into the tracker, and records her biometrics. This way, when she comes back for a checkup, no matter the facility, the health worker can securely pull up her previous diagnosis and treatment to seamlessly provide the care she needs. This is what we hope to achieve in the future using biometrics. It will serve as a means of providing patients with unique identifiers that can track them throughout the system. This enables patients to have consistency in care if they switch facilities for any reason. Of course, this solution requires patient consent along with adhering to the patient’s right to protect his or her personal data. Another step forward toward the digital vision for Haiti. I am incredibly optimistic about what these changes could bring. If we continue entering data at the facility level, the quality of the data will improve, allowing for the use of good data for decision-making. But, more importantly, patient tracking of TB treatment and hopefully, tracking of all patient health data will result in better, more targeted care. Both improvements will lead to better health for all. This is our goal and I am looking forward to tackling the challenges along the way to achieve the digital future for Haiti. 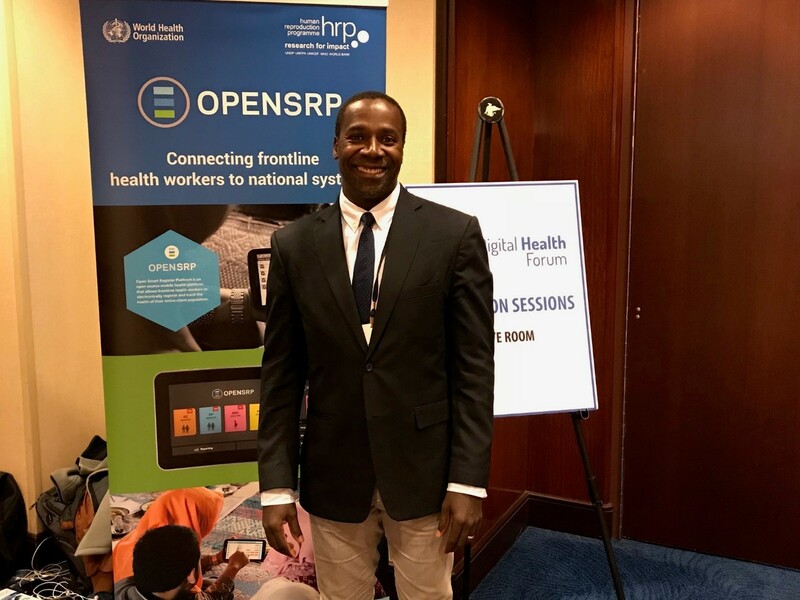 Atwood Raphael is Deputy Chief of Party for DAI’s Haiti Strategic Health Information System (HIS) Program.